Khust [Xust] (Hungarian: Huszt; Czechoslovak: Chust). Map: V-4. 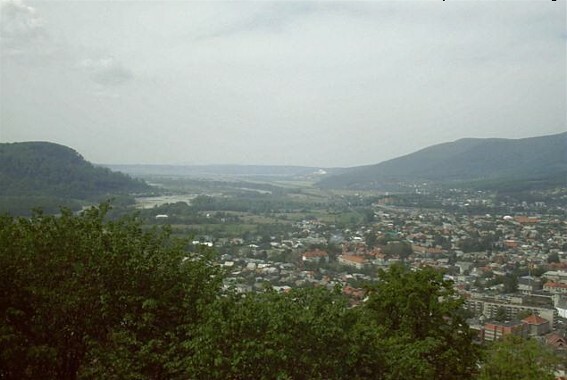 City (2001 pop 29,100) and raion center in Transcarpathia oblast, situated on the Khustets River in the Maramureş Basin near the confluence of the Rika River and Tysa River. 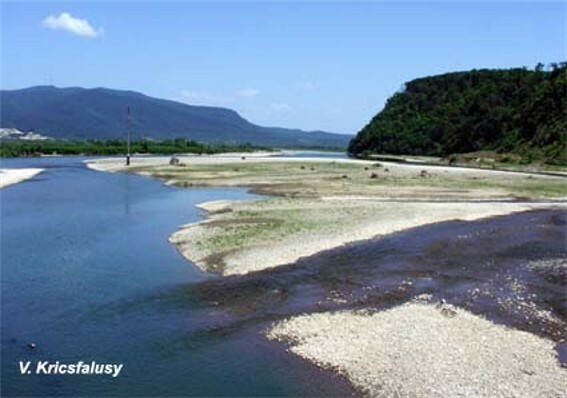 (Photo: View of Khust.) It arose in the 10th century at the foot of a mountain of volcanic origin, on which a Hungarian castle was built from 1090 to 1191 to control access to salt mines 50 km away near the future town of Solotvyna (see Solotvyna rock salt deposits). It was razed by the Mongols in 1242 but was soon rebuilt. 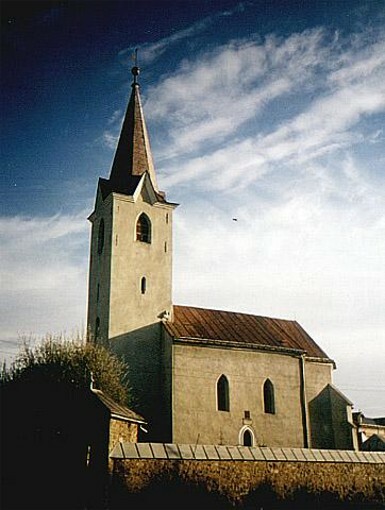 Khust belonged to the Principality of Galicia-Volhynia from 1281. In 1321 Hungarian rule was restored. 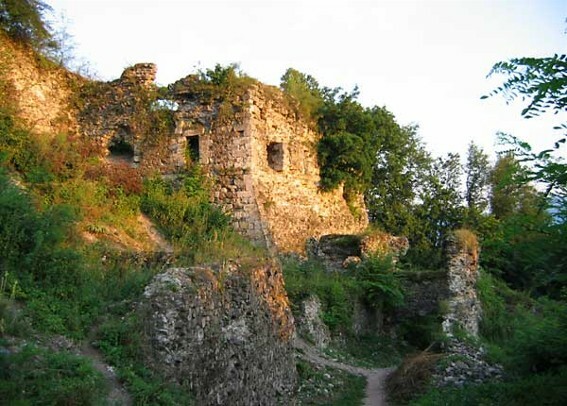 In the 16th and 17th centuries the Habsburg dynasty and the Transylvanian princes fought each other for control of the town and its castle. It was besieged by the Crimean Tatars in 1594, 1659, and 1717, the Poles in 1657, and the Turks in 1661–2. Prince Ferenc II Rákóczi took the town in 1703 and convened a Transylvanian diet there in 1709. 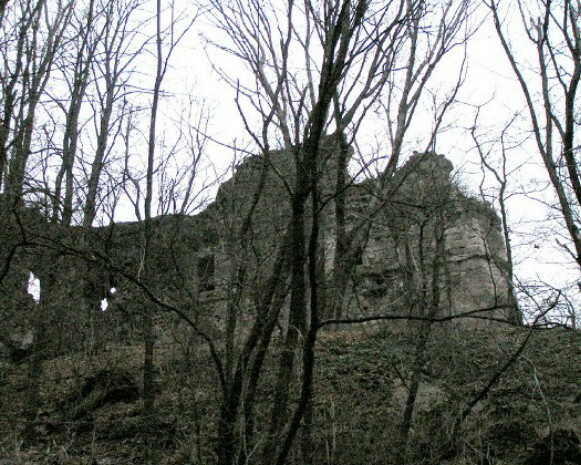 The castle burned down after lightning hit its gunpowder tower in 1766. A Ukrainian People's Council was founded there in November 1918. On 21 January 1919 the 425 delegates of the All-People's Congress of Hungarian Ruthenians in Khust created the Central Ruthenian People's Council and voted to unite Transcarpathia with Ukraine. 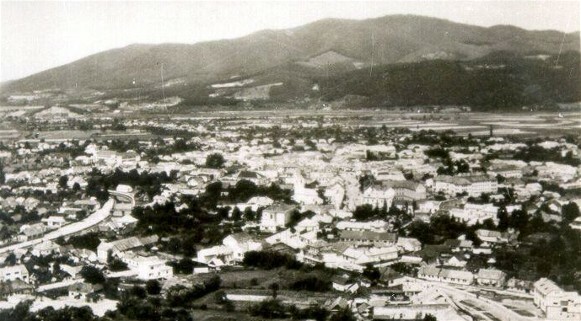 From 1919 to 1938 the city belonged to Czechoslovakia, from 1928 as a county center. Branches of the Prosvita society and Dukhnovych Society were established there. 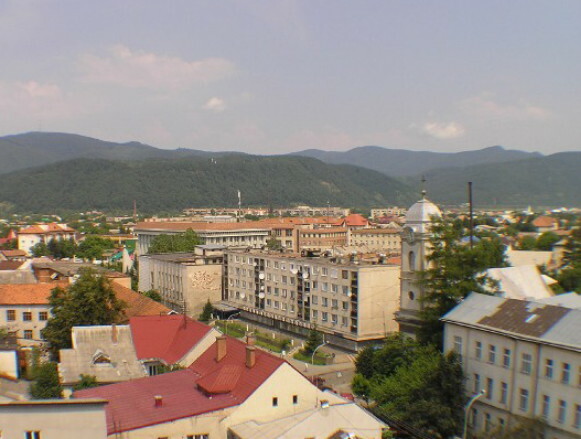 After Hungary occupied southwestern Transcarpathia, in November 1938, the autonomous Carpatho-Ukrainian government headed by Avhustyn Voloshyn was evacuated from Uzhhorod to Khust, which became the capital of Carpatho-Ukraine. Congresses of the Carpathian Sich National Defense Organization were held there in December 1938 and February 1939. In mid-March 1939 battles between Carpathian Sich and Czech and Hungarian troops and the session of the Diet of Carpatho-Ukraine that proclaimed state independence took place there. 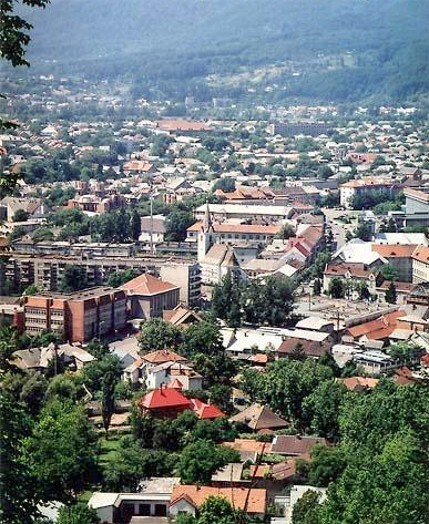 In 1938–9 Khust was also the seat of Bishop Dionisii Niaradi, the apostolic administrator of the Greek Catholic Mukachevo eparchy, and the home of the daily Nova svoboda and of the Nova Stsena state theater. From March 1939 to October 1944 the city was under Hungarian rule. Since then it has been a part of Soviet Ukraine. Felt hats, footwear, artistic wares, clothing, lumber, furniture, ceramics, bricks and tiles, and food products are made there. It has a small museum.